Florida State basketball will look to knock off a top-20 Louisville team at the Donald L. Tucker Center on Saturday, but on this day 10 years ago, the Seminoles took down a top-10 team on the road despite a big second half deficit. 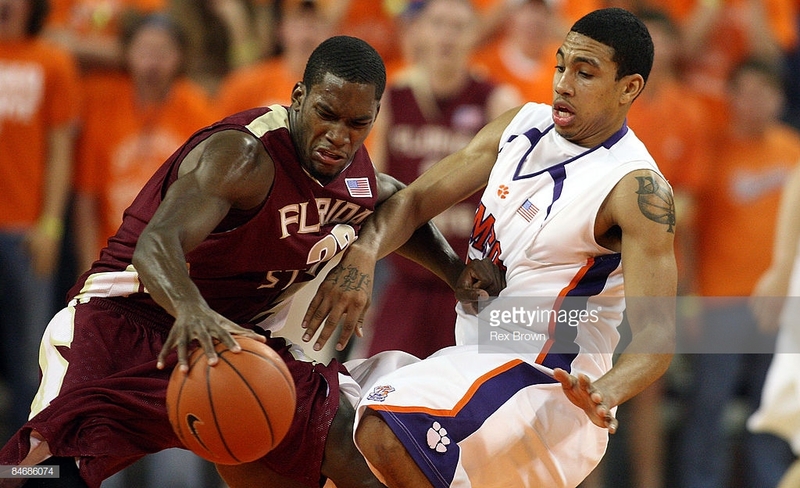 The Seminoles were unranked when they visited Littlejohn Coliseum to face No. 10 Clemson on Feb. 7, 2009. The Tigers were coming off a 27-point home win over Duke their last time out while FSU was looking for a signature win in its efforts to make the NCAA Tournament for the first time in 10 years. Despite falling behind big in the second half, FSU would leave with a 65-61 victory. Toney Douglas’ 3-pointer gave FSU an early 3-2 lead, but that would be the final advantage that the Seminoles would hold until just over the 2-minute mark in the game. FSU trailed by as many as 13 in the first half before Douglas nailed his second of three 3-pointers on the night to cut the deficit to eight at 30-22 at the break. The second half however, couldn’t have started much worse for Florida State as Clemson opened it on a 14-3 run to take a commanding 44-25 lead just more than five minutes into the half. That’s when FSU began to chip away. The Seminoles were able to cut the lead to single-digits by the midway mark of the half, but back-to-back treys from David Potter and Trevor Booker pushed the lead back to 15 at 57-42 with under nine minutes to play. From there out, FSU closed the game on a 23-4 run. Following Booker’s 3, the Seminoles scored on four straight possession to cut the lead to six. After a Booker basket pushed the lead to 59-51, Douglas and Chris Singleton scored on consecutive possessions before Luke Loucks’ 3-pointer with 2:28 to play cut the Clemson lead to one. After a turnover by Clemson’s Terrence Oglesby, Solomon Alabi hit the turnaround jumper with just over two minutes to play that ultimately put FSU ahead for good, 60-59. Douglas made five free throws down the stretch to help cement the contest. Booker missed a 3-pointer with 20 seconds to play that would have tied the game. Douglas finished with 23 points and four assists to pace FSU in the victory. Alabi added 17 points and nine rebounds..
Booker and Demontez Stitt each finished with a team-high 11 points for Clemson in the loss. The Tigers missed their final six shots. The victory still serves as the largest road comeback for FSU under head coach Leonard Hamilton and the second-biggest overall under Hamilton. That comeback came on this day 10 years ago.